Pallet racking systems are essential to not only maximise the storage space of a warehouse but also to provide seamless management of the business. It is common knowledge in the logistics industry that if you want to have an efficient process to run your day-to-day operations, you have to use the right type of racking solutions. However, if you're just starting to implement warehouse racking for your business, know the various storage advantages of the different types of pallet racks depending on your specific needs. This is a steel storage rack with long arms extending from a metal framework, which is designed to hold long and bulky items such as timber, plasterboard, steel trusses and PVC carpet. Compared to other pallet racking systems, cantilever racking doesn’t have a front column. This increases the storage capacity available and allows ease of access to all inventory and products. A common pallet racking system, selective pallet racks provide easy accessibility, as they are designed for immediate direct access to store or unload all pallets. A selective pallet rack bay is constructed by combining vertical upright frames with horizontal load beams. This racking is also the most easily installed system. It is an accumulative storage system that allows more than three pallets deep to be stored per level. All of the pallets at each level are placed on a set of trolleys that are pushed along rolling rails, having a last-in/first-out rotation. This means that when a pallet is loaded on the structure, the next pallet is pushed back on the rails. These systems are perfect for general warehousing. This type of racking is the most high-density storage solution available. It is designed to maximise the use of floor space within a warehouse, requiring fewer aisles for the same amount of storage. Because of the space it saves, it makes a cost-effective option. In this system, the forklifts drive directly into the highly rigid racks to stock and add pallets. Commonly referred to as gravity flow racks, it uses sloping racks and employs a first-in/first-out loading system, wherein the loads are stored at the higher end and removed at the lower end point. As products are loaded, the rotation becomes automatic because of the flow of the racks. This is typically ideal for high-density storage with multiple order picking levels. If you are in need of a pallet racking solution for your business, we are here to help you. 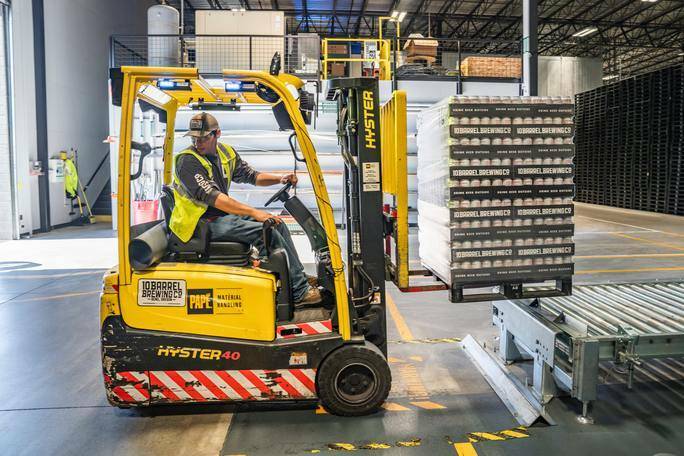 Pallet Racking Direct is an independent supplier of quality racking solutions, working with all major manufacturers in the market to bring you the best storage solution at a reasonable price. With over twelve years experience of designing, supplying and installing efficient and cost-effective storage solutions, we are confident that we have a solution to meet your exact storage needs and budget. Contact us on 01444 220 290 to start your business with us.